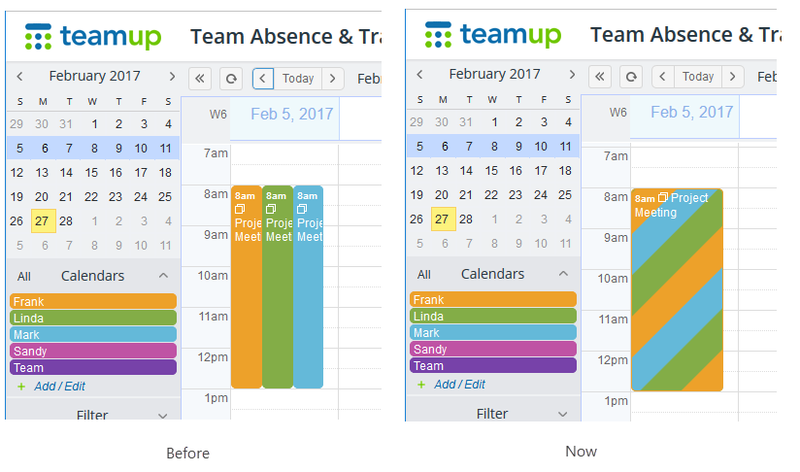 Have you been using Teamup’s unique feature of assigning one event to multiple calendars? 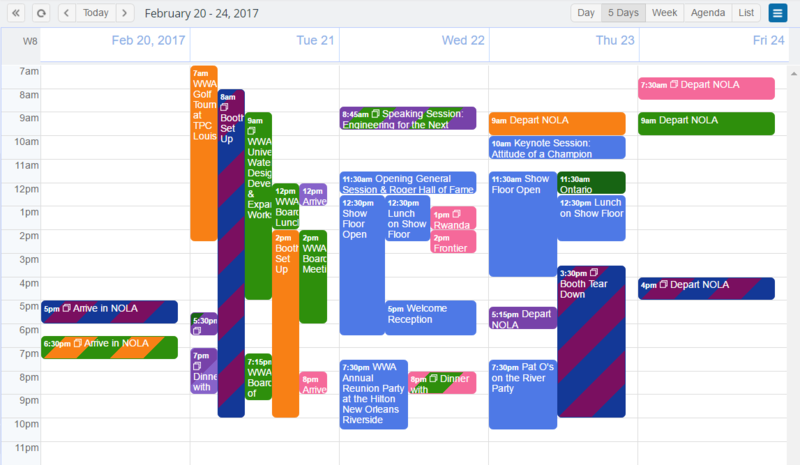 If so, you may have noticed that these events are now displayed in stripes with the colors of the assigned calendars. Enjoy the new look of your calendar. Please drop us a note in support@teamup.com if you have any feedback – we appreciate it!